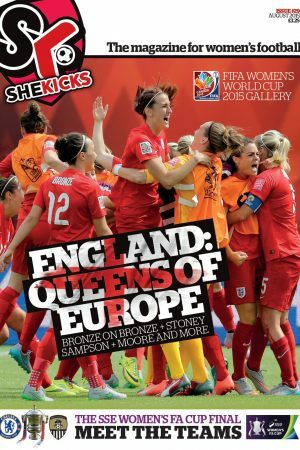 Our Olympic Focus issue, including Jill Scott, Steph Houghton, Ifeoma Dieke, Kelly Smith, info on Team GB’s opponents plus interviews with former England captains Faye White and Gill Coultard. 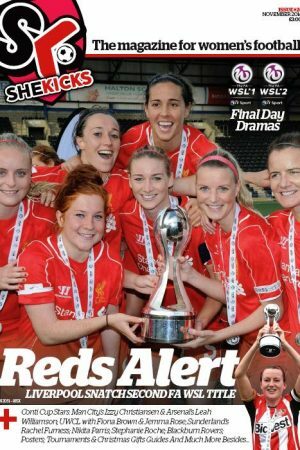 Spartans midfielder Danni Pagliarulo talks about her struggles with anorexia, we have photo galleries of Birmingham’s cup win and there’s loads more news and other women’s footie stuff…more info to follow. (48 pg, full colour, ‘Glamour’-sized)Just £3.25 in the UK (inc. postage & packing). 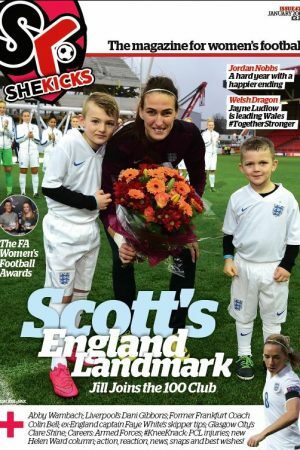 Or, for great deals on more than one copy to the same address, please get in touch by emailing: shop@shekicks.net or calling: 01914421001 (During office hours).